Savory Catering was established in January of 2001. Started by Jonathan Calabrese & Anthony Winkler with a goal to provide excellent all natural food made with the freshest ingredients, while always providing quality service and abundant subtlety to all our events. In addition we focus on maintaining an eye and consciousness to our “green” initiatives. As we have grown we’ve included a highly successful restaurant named State and Allen Kitchen+Bar located at 2400 Allen St in Uptown Dallas and one block down we opened our first sports bar called The Nodding Donkey which is an homage to our west Texas roots. In 2012, we opened our 2nd Nodding Donkey this time on SMU Blvd. We have never lost sight of where we came from and where our passion started. 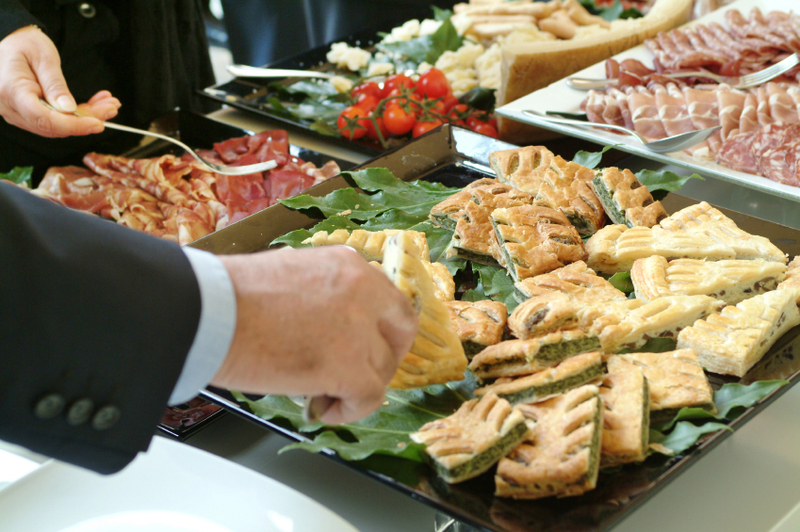 Savory Catering is still the driving force in a now larger company. Only our best chefs including Texas native Executive Chef Rhett Dukes are promoted to work in the catering arm of our corporation. As a full service catering company we provide any and all types of catering as well as event planning, site selection, vendor arrangement and production design. We have succeeded at many affairs included receptions, private dinners and off site events. We currently service daily, many corporate companies’ lunch needs. Through our years of catering service and our restaurants menus, Savory Catering has developed an abundance of delicious options. Our consultations are free of charge, and the reason why we love this business. Even the pickiest of brides trust Savory Catering. Contact us for a free consultation, and leave the worrying to us. Dallas is home to some of the largest companies in the world, who rely on Savory Catering to keep their employees happy. Hosting a BBQ? A birthday party? A 4th of July bash? Call us for menu ideas and let us handle the work while you enjoy your day. Looking for exquisite wedding catering in Dallas? Savor your moment. We'll handle the food. You have a vision, and we have the ability to bring it to fruition. Savory Catering has planned hundreds of events, owns top local restaurants and knows exactly how to build the perfect wedding catering menu. Our consultative approach will take your vision and your budget and allow us to provide recommendations for you to choose from. Savory Catering understands the intricacies, importance and intimacy of your wedding. Catering weighs heavy at the top of the list of many when it comes to planning your perfect day. There is no menu too difficult, no budget too small (or big) and nothing that can prohibit us from building your dream wedding. Catering is our business for over 10 years. We know Dallas better than anyone, and we would love an opportunity to meet with you in-person to show you our work, and discuss your vision. We would love to hear from you! Contact us today to setup an appointment for your Wedding Catering needs in Dallas, TX. Jonathan was a late comer to the culinary world. He graduated from UNT in 1996 with a Philosophy degree and worked in Health Care Consulting before deciding to go culinary school in 1998. Jonathan graduated from Art Institute of Dallas as the valedictorian of his class, then Jonathan had the pleasure of staging at The Grape Restaurant under Executive Chef Brian Luscher where he attributes much of his overall ‘how to’ process of running a kitchen. Opportunity came quickly for Jonathan and his best friend business partner as he opened his own restaurant in Lakewood called Savory Bistro which was met with consistently positive reviews. From this point he has grown the business over the last 15 years adding State&Allen Kitchen/Bar (2004) and the Nodding Donkey’s Sports Bar (2010), ever present though was his first love Savory Catering that he started while in culinary school and continues to rapidly grow today. Jonathan works in a supporting role with regards to cooking pushing Chef Dukes to take food in many directions while both work on the overall vision of the food and menus together. Jonathan spends most of his time running the whole operation while his business partner expands the company in many exciting directions. Rhett Dukes started with State&Allen (Savory Catering) coming on as a sous chef. Quickly Rhett’s knowledge, passion and skill elevated him to Chef de Cuisine within the company. The fall of 2014 Rhett was promoted to Executive Chef. Rhett has a wealth of culinary knowledge with his various stops in Houston where he started his culinary career, to stops in Chicago where he reached Executive Chef Partner before coming back to Texas and settling in Dallas. Rhett has a determination that can only be matched by his creativity; no task or challenge is a problem but an opportunity per Rhett. His food knowledge is global but his view is local creating a combination that is as cool as his disposition. Rhett has taken over complete control of creating new menus for State&Allen and Savory Catering. 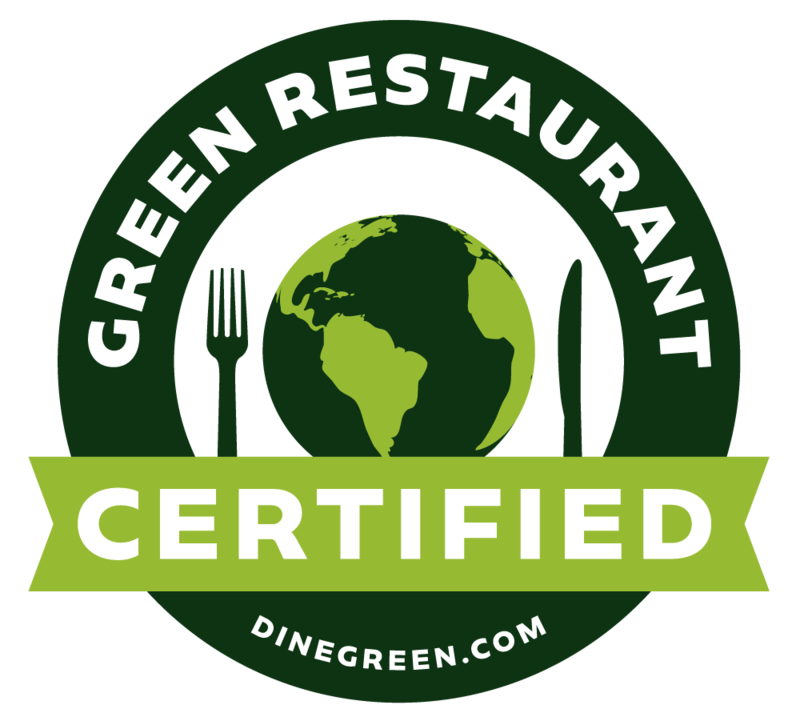 Savory Catering is proud to be a Level 1 Certified Green Restaurant® by implementing 38 steps and earning 82.2 GreenPoints™ on behalf of DineGreen.com.